Programmable thermostats save you money. That’s a no-brainer, right? You’ve seen that advice in books and magazines and on personal-finance blogs. Well, it turns out programmable thermostats aren’t the miracle device we’ve believed all along. In fact, sometimes using a programmable thermostat costs more than not having one at all. But the fault doesn’t lie with the thermostat. The trouble, as my father used to say, is the nut behind the wheel. Theory and practice, programmable thermostats are a great way to save on home energy costs. About 42% of home energy costs go to heating and cooling. A lot of these costs come from heating and cooling empty (or unused) spaces, including heating and cooling while people are asleep. In plain English: People spend a lot to heat and cool their homes, and they’re not good about turning things off when they’re not needed. In fact, some folks think it uses more energy (and thus costs more) to turn the thermostat down at night and then re-heat the following day. They’re wrong. A 1978 research paper (“Energy Savings through Thermostat Setbacks” by Nelson and MacArthur) confirmed basic physics. On average, if you turn the thermostat down by one degree Fahrenheit for eight hours every night, you’ll use about 1% less energy. (So, if you turn the temperature down by 10 degrees every night, you’ll use about 10% less energy.) But note that you’ll see less savings in milder climates (the bigger the difference between indoor and outdoor temperatures, the more you save by adjusting the thermostat) and with electric heat. Based on this, it makes sense that a programmable thermostat could reduce energy usage. You simply program the thermostat to warm (or cool) your home when you’re actually there; when you’re away (or asleep), the thermostat switches off. As is often the case, though, practice is different than theory. The main problem is that people don’t use programmable thermostats the way they’re intended. Someone might keep the home cool during the day, for instance, but crank the heat above room temperature at night. But even when used properly, programmable thermostats may not offer a cost savings. Consumers are often advised that installing a programmable thermostat can save them anywhere from 10 to 30% on the space heating and cooling portion of their energy bills. While reliant on proper use of the programmable thermostat, such savings are easily true in theory; however, there needs to be more field-tested data to better substantiate savings claims. Analyses from recent field studies have suggested that programmable thermostats may be achieving considerably lower savings than their estimated potential. How much lower? It was found that using a programmable thermostat produced an average savings of about “6.2% of total household annual natural gas consumption”. Those who installed programmable thermostats into older heating systems (in other words, those who didn’t install a new heating system at the same time) saved an average of 6.8%. And that study painted the rosiest picture of programmable thermostats. 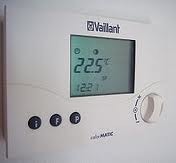 Note: It was also found that people who micromanage their manual thermostats use more energy than those who just leave them at predefined points for longer periods of time. 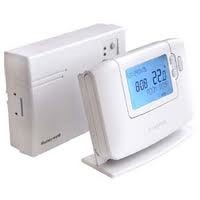 Despite the emphasis that has been placed on the use of programmable thermostats to reduce thermostat setpoints and so save heating energy, respondents with programmable thermostats report thermostat setpoints that are not substantially different from those of respondents with manual thermostats. These details and the conclusions above lead us to suspect that the aggregate savings that can be expected from the installation of programmable thermostats in residential housing is probably quite modest. Elsewhere, it’s worse. Sometimes those with programmable thermostats use more energy. In 2008-2009, Florida Power & Light conducted a study of 400 homes with programmable thermostats [PDF]. Turns out that those who programmed their thermostats actually used 12% more cooling energy than those who did not. Sure, those who programmed the thermostat used less energy when they weren’t around;however, they tended to set the thermostat much lower for the times they were home. As a result, the folks who did nothing saved more energy. Why is there a discrepancy between the theoretical and actual savings with programmable thermostats? Because the proposed savings were, in actuality, theoretical. That is, they were based on computer models and not on real-world experience. Now that there’s enough real-world data, it’s clear that programmable thermostats have only a minimal impact on energy consumption. As in other areas of personal finance, it’s human behavior that make the most difference. Programmable thermostats can reduce energy consumption — if they’re used right. But so can regular thermostats. What does make a difference on your heating and cooling costs? If you’re motivated to save energy (for whatever reason), you’re more likely to use less energy. In this case, a programmable thermostat makes no difference. If you don’t care about saving energy, you’re likely to use more energy. Again, a programmable thermostat won’t change this. During the winter, set your thermostat for 68°F (20°C) while you’re awake, and set it lower for when you’re away or asleep. During the summer, set your thermostat for 78°F (26°C) while you’re home, and turn it off when you’re away. Better yet, heat (and cool) individual rooms instead of the entire house. If you tend to spend a lot of time in just one or two rooms, you can save a lot of money by using a space heater or a room-sized air conditioner. After all these words, the bottom line is common sense: Whether you use a programmable thermostat or not, if you turn down the heat (or turn off the air conditioning) when you don’t need it, you’ll save money.